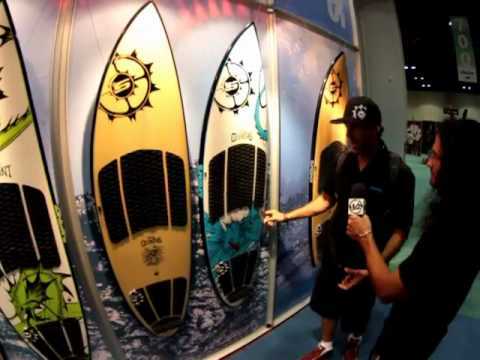 The new Verve is a versatile wave board which can handle a wide range of surf conditions with ease. It is the perfect board for less experienced riders that wand to discover the secrets of wave riding or for having fun and cruising around. It is ideal for heavier riders in light wind and excels for all riders in onshore conditions or clean surf. The board packs some extra volume, thing which makes it easy to ride in lighter wind conditions and assures plenty floatability for heavier riders. The slightly wider outline makes it very steady and assures excellent upwind and planing potential. The special bottom design is optimized to enhance stability and assure a clean drive. Although it packs extra volume, the Verve is a snappy board and can tackle all sorts of waves and perform cool tricks with ease. The swallow tail assures quick turns and provides optimal control. The Verve uses a tri fin setup which provides excellent grip and makes it fast and playful. Slingshot has crafted the Verve using an EPS core plus a composite epoxy and fiberglass sandwich structure. This construction assures perfect stiffness and flex and makes the board light, yet extremely durable. Slingshot Verve 2013 Average Rating: 4.0 out of 5 based on 1 user reviews.